She took a marker and wrote on the whiteboard: JCU 68 ONU 61 00:00, and then looked at her teammates. 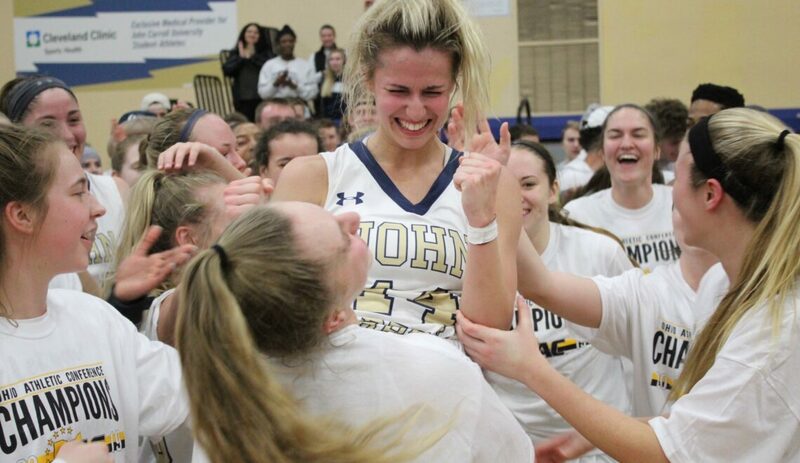 It was halftime, her JCU team down only five points to the #15 team in the country for D3, and the captain of the team was willing her squad of David’s to take down Goliath. 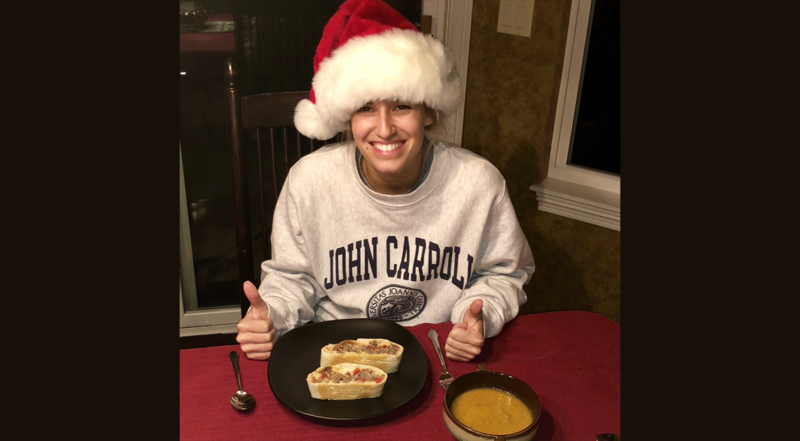 Coming into the game, JCU’s record was 5-17, and ONU’s was 20-2, but this didn’t deter her from trying to manifest a win, which included a big and bold declaration of what she believed would be the final score when the scoreboard showed double zeros. Up to this point of a long and grueling season, a young team made up of eight freshman, two sophomores, three juniors and one senior swallowed the bitter pill of losing on a regular basis. However, the record was not indicative of the talent. Inexperience got the best of them most days. Don’t we feel like this as moms sometimes? That our parenting record is not always indicative of the capabilities God gives us? We doubt our instincts and hone in on our failures, forgetting God gave us children as loaners to raise and nurture because He believes we are worthy and up for the task. Inexperience is bound to get the best of us as moms as well. We learn as we go—also part of God’s grand plan. Although a manual on raising kids sure would be nice. Despite scaling the walls of Amazon and taking a deep dive into the dark web, I still haven’t found one. Looks like God wants us to take it on His holy word that He’s more than enough to get us through. All He asks is that we do our best, trusting Him for the lion’s share along the way. And to do our best is the 4th and final agreement in Don Miguel’s The Four Agreements. As a wrap up to the first three agreements, be impeccable with your words, don’t take things personally, and don’t make assumptions, the book encourages us to put our best foot forward in living out these contracts we make with ourselves. Heavens to Betsy, what a relief! Especially in the mom gig. Because if I need to be perfecto in doling out the dictionary, or in recognizing not everything spins around my orbit (dang it! ), or that assumptions make for ugly dinner guests, well then everyone around me I’m doomed. For the record, I have zero idea who Betsy is, but she must be a wise woman if the trajectory towards her is heavens away. Doing our best sounds like an escape clause for winging it. Life, motherhood, eyeliner, everything. Or so a t-shirt says. But I agree with the maker of the shirt and I’m all for the escape clause. We don’t have a blueprint for how life will unfold, which the Creator of the multiverse could have easily whipped up considering the dirt and rib magic He pulled off in creating man and woman. But He didn’t. So, about all we can control is how we’ll react. Some days our best means our knee will jerk, and on other day’s giving our all means we’ll succumb to prayer, patience, and persistence; loving our self and allowing God to hope us forward. 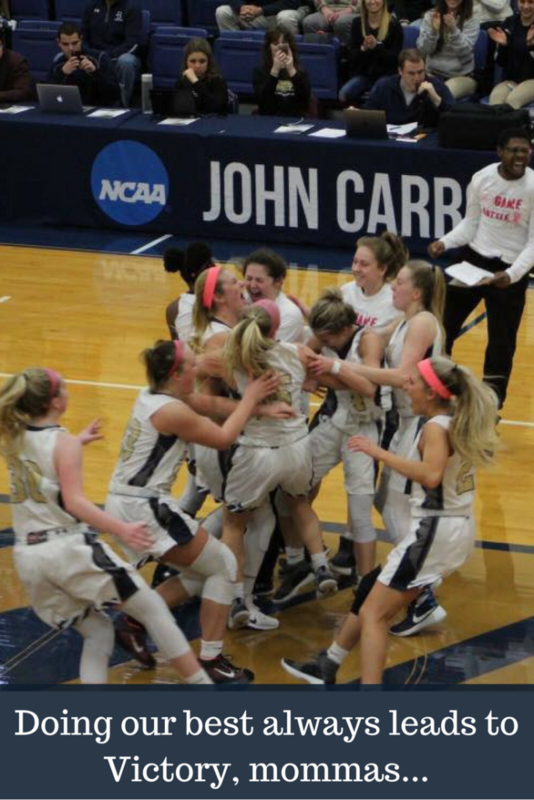 Which is what the JCU women’s basketball team has done all year: accepting the losing as part of the journey. Learning from their mistakes and continuing to believe their time would come. If a perfect record was the only measure of the girls’ worth, disillusion and defeat would have surely settled deep in their hearts. But these amazing young women never gave up, on themselves or each other. The second half of the basketball game was a grind. 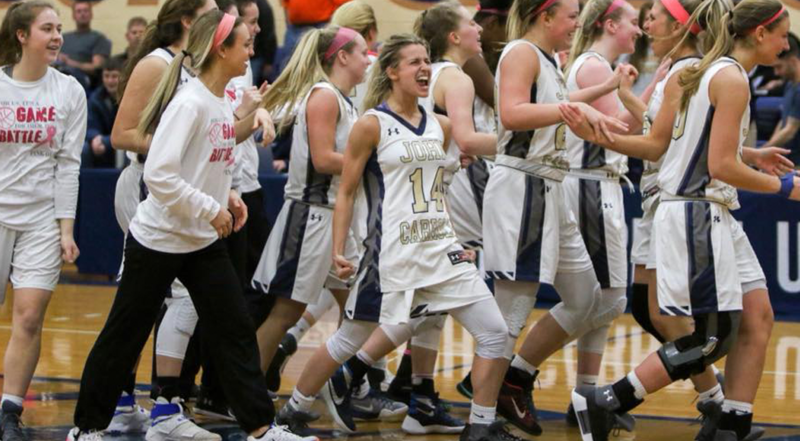 A clear eyes, full heart, can’t lose mentality dictated play until the final buzzer sounded: JCU 68 ONU 66 00:00. Sweet Victory. The captain spot on to the digit with her prediction in the win column–a leader who just happens to be my baby girl. Never mind that she’s 20. The basketball team did their best all season, with not much to show for the effort in the standings. But their tenacity to continue doing so resulted in a stunning upset; a magical slingshot moment where the underdog took down the giant. You can read all about it here. My daughter willed her team to a triumph, just like God wills us to succeed as moms. You can do it, momma. Just believe. These are the whispers we need to carry around in our heart. Doing our best is good enough. Has to be. God says so. Let’s take His word for it. Keep on keepin on, crazy Mommas! FREE Download: My new devotional eBook, 40 Days to See LOVE, Free LOVE, Be LOVE: A heart journey to being Present, Authentic, & Kind. Journey starts TOMORROW 2/14!